Competition, love it or hate it, is an essential part of being in sales. Whether you’re dealing with internal competition from fellow sales reps or an external threat from competitor companies in your industry, competition drives us to be the best we can be. But when it comes to winning new business and increasing market share, what are you doing to differentiate yourself from the competition? 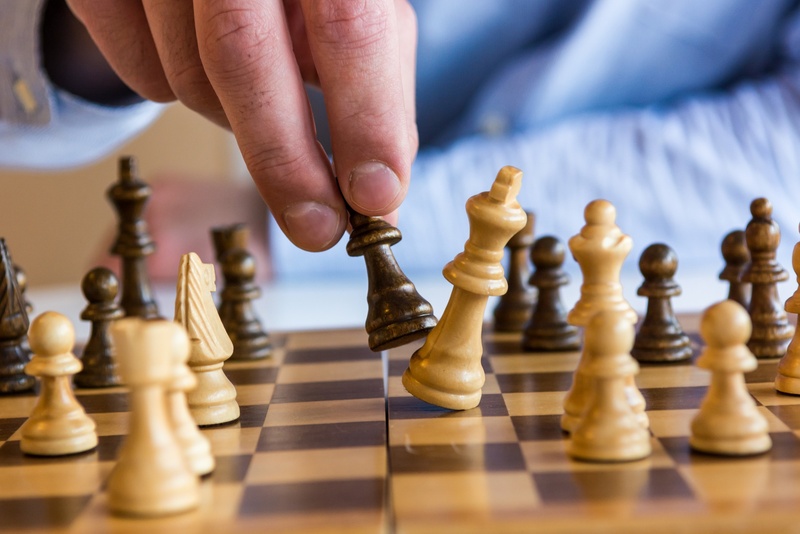 If you’re not already testing new and different strategies or tactics, here are 5 ideas to consider as you position yourself against the competition. Every competing company has weak points -- places where your company can do better or outperform the “other guy”. Even if your competitor has a bigger market share, better product, or lower price, you can still succeed. When a customer asks, “How are you different than your competitors?” We must first know our company’s unique offering and present this information to our prospect in a way that tells them exactly how we’re different. We must understand that our job is to help people understand the most important differences between what you do and what the competition does … other than price. If we start “selling” by talking about how we are “better,” prospects will tune out. Instead focus on unique differences and strengths. For example, perhaps you offer 24/7 customer service and your competitor doesn’t. Or maybe you’re the only company in the space to place a guarantee on your product. These differences can go a long way when positioned correctly. Create a list of five things you do differently than the competition does them. Then, role play and practice incorporating these answers into your sales meetings and conversations. Story telling offers the power to transform your product or solution from a hazy, intangible idea into a real vision for your prospects. You want to illustrate how your company has helped other companies by sharing specific success stories that emphasize the advantages of working together. When you’re able to explain the benefits and results of using your product or solution, it gives you more selling power and credibility than simply focusing on features. Your buyer needs to be convinced they are making the right decision, which is why you need to work on establishing trust. Identify and practice ten to twelve different true stories that will help you answer the prospect’s question, “Why should we work with you?” For example, you could frame the questions like this: “Well the reason so-and-so decided to work with us was …” Ideally, we should try to the best of our ability to match the story closely to the prospect’s situation and current challenges. We need to decide: is our company an umbrella company that provides a wide range of products and services or is our company a specialist that focuses on a set product or service, only? We can use both of these business classifications to our advantage. For example: If you are a specialist company and your competitor is an umbrella company, you could make the argument that you are built around making one thing extremely well and your competition is not specialized like we are; or vice versa. However, if you’re competing against another umbrella (or specialist) company, then you may want to concentrate on other advantage points to make. Most salespeople don't go far enough with their questioning. It’s not just about open versus closed questions. You need to take it further. Knowing the right questions, how to ask them, and when to ask them – are essential to the entire buying process. You must learn the one or two things that are most important to your prospect and why those things are driving their decision. What’s motivating them? Asking questions offers the potential to increase rapport and build stronger bonds faster with your prospects. When you ask questions about what is important to them, they feel more known and understood by you as they answer. This increases their receptivity and acceptance, making them more open to answering your questions and communicating more freely. Go beyond the typical, surface level questions and start asking second level questions. Second-level questions help you dig deeper into buying triggers and motivations. These questions are critical to the sales process because they prompt the prospect to provide further explanation about their current challenges, needs, and buying process. For example, asking “Why is it important to solve this problem now? Why not sooner?” will give you the information you need to be more strategic in your sales efforts and will help you uncover the actual motives behind their actions and position. For example, if after speaking to a prospect, they are already inclined to go with one of your competitors who may have shown a slightly better version of your services, you may want to tell them about how our company is constantly looking to advance and improve. Tell them about your commitment to training and development, which foster creativity and problem-solving skills. Clients are always looking for fresh perspectives. Even if they already have an existing relationship with a competitor, that doesn’t mean they wouldn’t be open to hearing your additional ideas and point-of-view. Develop a point-of-view and position about the challenges your solution addresses or the overall market and industry your solution serves. If you take a stance on an issue that’s important to your prospect or client, even if it’s a position that is contrary to popular belief, you’ll most likely get their attention. And once you win some share of mind, it’s that much easier to get your share of wallet. As you research, prepare, and present your company’s offering, keep in mind what your competitors are currently providing. When you know what the competition is up to, you can more easily put your company and offering into a position of strength. Looking for another way to gain a competitive edge? Well, first thing first, get your sales process and pipeline in order and then watch the leads and prospects start to pile up. Pipeline Management is a planning tool for sales teams looking to increase revenue, sales activity and prospecting, as well as improve forecasting accuracy.